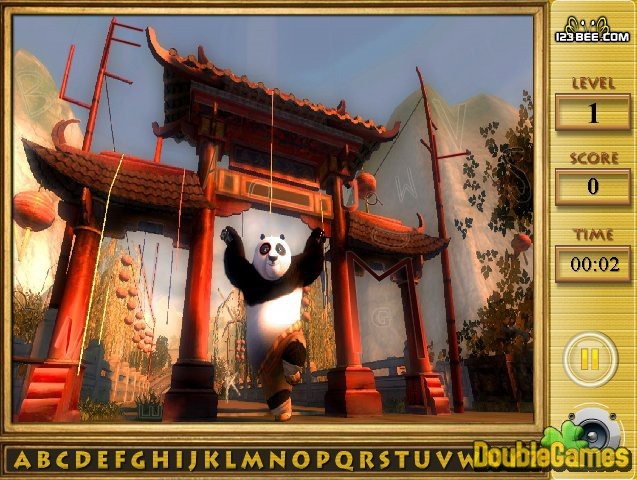 Kung Fu Panda series are filled up with another online game Kung Fu Panda 2 Find the Alphabets! We are glad to introduce this cartoon-based game to you! 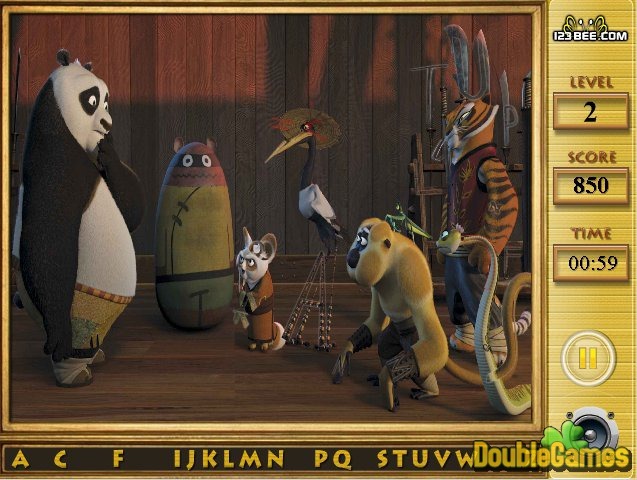 This time Po has got a Hidden Object challenge for you. However, you are to look for not things or items but hidden letters. Besides you are limited in time, therefore be as watchful as possible! Find all the letters before your time is out and get points! Remember to avoid wrong or unnecessary clicks, which take away your scores! Train you power of observation online together with Panda Po! 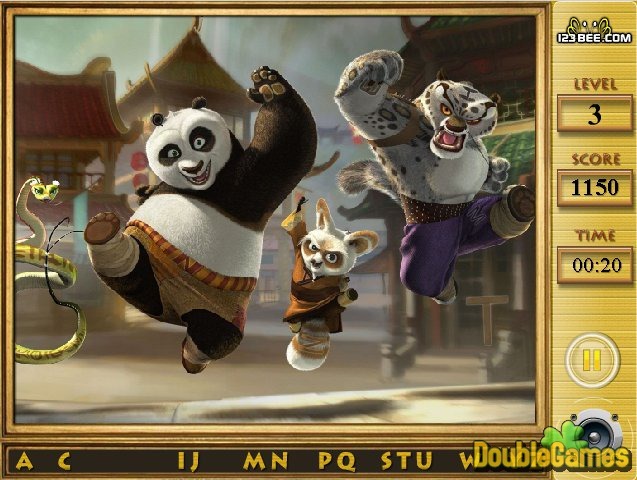 Title - Kung Fu Panda 2 Find the Alphabets Online Game Description - Learn about Kung Fu Panda 2 Find the Alphabets, a Movie Games game devised by 123Bee.com. The alphabet is scattered! Find all the letters as soon as you can!